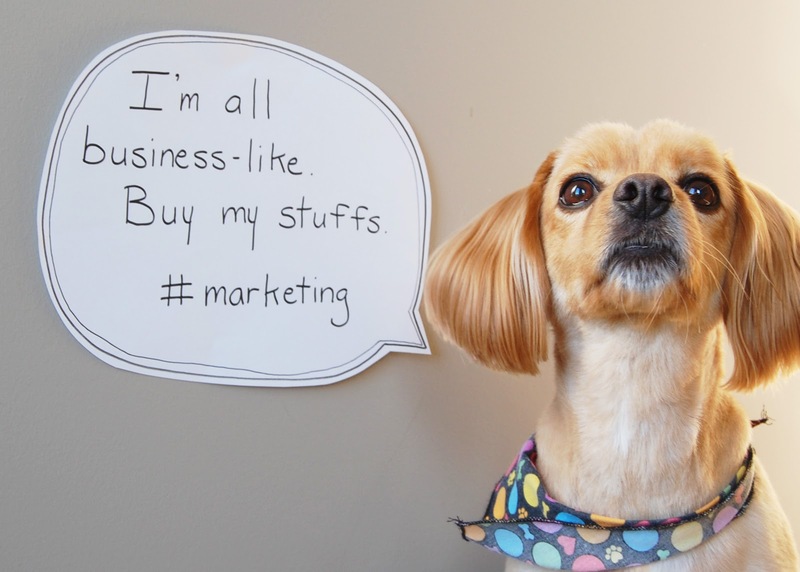 So, I've scheduled myself to talk about marketing today. At some point, while writing up my blog schedule for October, I must have thought that I knew something about marketing. Right now, I feel like a complete failure in the marketing department. Let's be honest, some artists are lucky enough to have the left-side of their brain work just as well as the right-side, but mine seems to be a bit under-developed. Every once in a while, I'll Google "marketing for Facebook" because I really struggle with trying to reach my Facebook audience. Really, it seems to be every audience, but I feel like the people on Facebook are a little more unreachable than anywhere else on the internet. I found a few good ideas on a site called Firepole Marketing, and, after reading through some of the articles, I've started trying my best to think outside the box. My dog is my CMO. Not every idea that I use is going to get interest, and just because people don't like it the first time, doesn't mean that I should give up on the idea entirely. I recently had a Birthday Scavenger Hunt on my Facebook Page where I would post a video each day with an item to be found for the scavenger hunt. The only people that participated were my Mom and my sister-in-law. It can be a little discouraging, but I've realised that I reached two people, and maybe next time, I'll reach two more. Marketing can be so fickle sometimes. It can feel like everyone that just opened up a shop, or started a blog, is already way more popular than you are. This may be true, but there is no magic wand that is waved and these people are better than you. Some people have it all right away, and others have to build themselves up carefully, brick-by-brick. You are no less awesome or creative as the other people that you see on the internet. You are just a scientist that has to experiment and figure out the formula that works best for you. You will figure out how to market yourself properly; you will teach that left-side of your brain to work just as well -- maybe better -- than the right-side; you will have successful ideas that are going to reach millions of people! 1. Advertising on other blogs - I started advertising on blogs around this time last year, and I noticed a huge spike in the attention to my shop. Julie Ann wrote a really good blog post about 3 Tips for Sponsoring Blogs. It's got three really important things to remember when looking at a blog that you are thinking about sponsoring. 2. Giveaways - I haven't had too much luck hosting giveaways here on my own blog, but I've done really well, and received a bit more attention from people by donating items for giveaways on other blogs as well as Facebook pages. 3. Business Cards - Business cards say a lot about a person and how they feel about their company. Consider buying business cards instead of printing them off yourself -- unless you are a graphic designer that has an amazing printer or you work with a letterpress -- and don't be afraid to think outside the box. 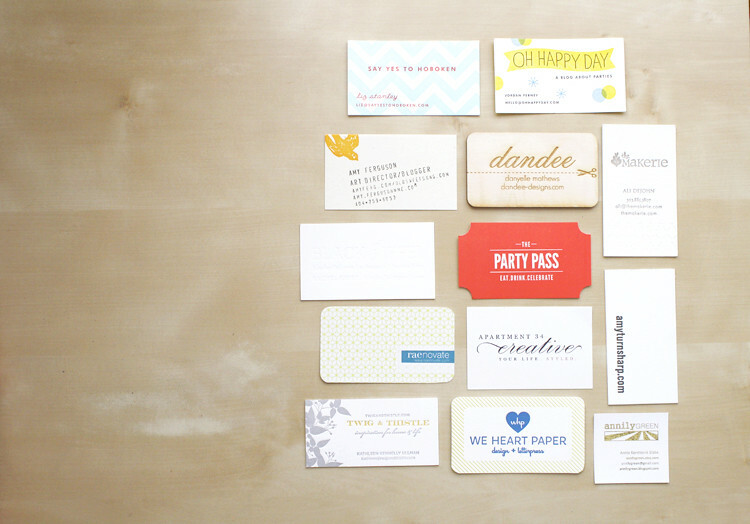 Check out these really cool business cards that Oh, Hello Friend has collected over the years. I like to leave mine in random places for people to find, and I've also started getting brave and mentioning that I have a shop through Etsy if I happen to be talking to someone that shares my love of Etsy. 4. Packaging - Not only are my business cards a way for people to find me, but I've got my shop all over my packaging. If someone doesn't want to give away the business card that I sent with the product, I've got my shop URL on the back of all of my cards, and on my packaging. There are more than a couple of ways to be remembered and make yourself more available.